Excuse me, but your epiphytes are showing…. Plants growing on other plants. If you could get closer to your source of energy, why not? The Licorice Fern, or Polypodium glycyrrhiza, is a small to medium sized evergreen fern, native to the Pacific Northwest. It grows on wet mossy ground, logs and rocks, but is commonly found growing on the bigleaf maple. Named for the licorice-flavored rhizome, it was used medicinally by Native Americans for colds and sore throats. This plant is often an epiphyte, growing above ground and supported by another plant. It derives it’s nutrients and water from the rain and the air, not the maple, then it would be a parasite. Like a whale covered with barnacles, the maples don’t move quickly enough to shake off the ferns. These plants could be used in a moss garden or when restoring or creating a native plant garden. 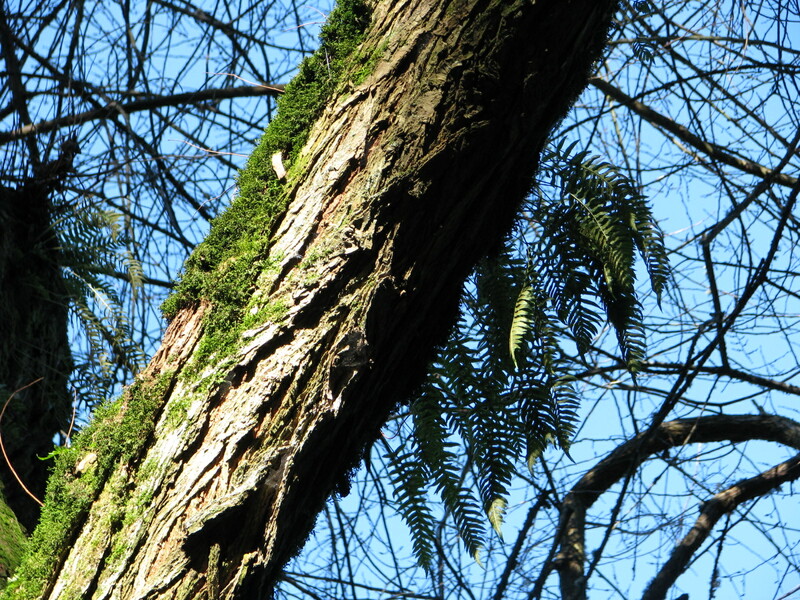 The licorice fern is summer dormant. It’s green and glistening all winter, but in summer during the drought, it thins and begins to grow again when the rains fall. 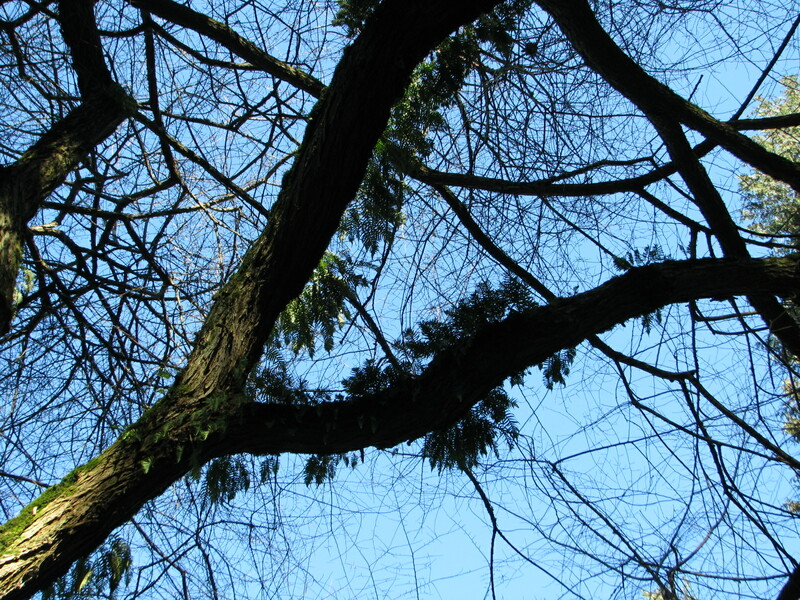 Get out your field guide (Plants of the Pacific Northwest Coast by Pojar and Mackinnon, 2004) and the binoculars and you might spot a licorice fern perching on a branch near you. I love learning new things…how fascinating and I will look for these types of things when I am out and about in nature!! I love learning about new plants! Thanks! Yes, send some photographs, I want to see what a tea tree is as well. Is that the same plant used in tea tree shampoo, etc…? 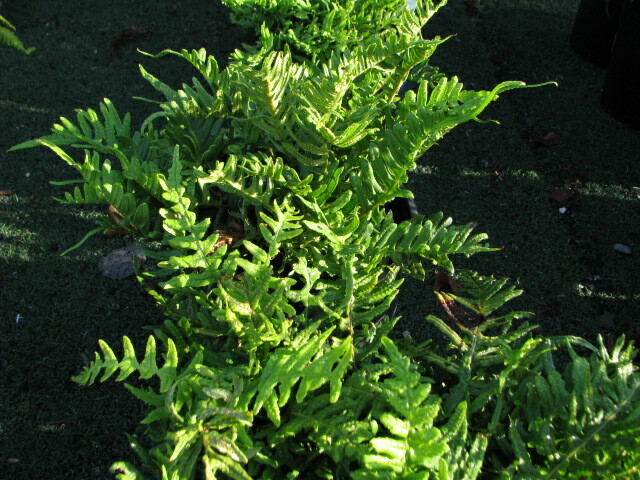 No, I haven’t planted licorice fern, and we don’t sell very many. You should give it a try in your moss garden and let me know how it works out….